And finally ... PASSED it successfully! So, Why Miss PMP® Re-Certification Deadline to Acquire 60 PDUs and Risk your HARD EARNED PMP® Credential? To support your commitment to continued professional development when it comes to project management, KnowledgeWoods Consulting - PMI's Global Registered Education Provider (R.E.P Provider ID - 2835) is proud to announce convenient and affordable online courses (registered with PMI, USA) that allow you to acquire Sixty (60) PDUs quickly and retain your PMP® Credential. Project Scheduling using Microsoft® Project 2013 (Intermediate Level) Using Microsoft® Project 2013 to understand and apply Best Practices in Project Management for Project Scheduling (Intermediate Level). The course covers the essential concepts to define project phases and tasks and organize tasks into milestones which help to evaluate project progress. Managing Resources using Microsoft® Project 2013 Using Microsoft® Project 2013 to understand and apply Best Practices to managing resources. 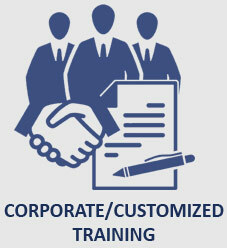 The course covers the essential concepts to plan for and procure project resources. Managing Costs using Microsoft® Project 2013 Using Microsoft® Project 2013 to understand and apply Best Practices in managing costs. The course covers the essential concepts to develop cost estimates for the resources and tasks that are needed to complete the project. Managing Quality and Risks using Microsoft® Project 2013 Using Microsoft® Project 2013 to understand and apply Best Practices in managing quality and risks. The course covers the essential concepts to identify the quality standards that are necessary to achieve the project objectives and planning for, identifying, and reducing risk at various times during a project. Managing Communications using Microsoft® Project 2013 Using Microsoft® Project 2013 to understand and apply Best Practices in managing communications. The course covers the essential concepts for project communication and the security aspects surrounding the same to ensure proper distribution of project information. Tracking Progress using Microsoft® Project 2013 Using Microsoft® Project 2013 to understand and apply Best Practices in tracking project progress. The course covers the essential concepts for selecting the items that you want to track and choose your tracking method, and then begins monitoring your project's progress. Waiting never helps - Don't Let Your PMP® Certification expire when you have the option to Earn up to 60 PDUs in an absolutely convenient and cost effective way! Register Now and Get the Best Quote for 5/10/15/60 PDUs! At KnowledgeWoods Consulting - We are confident of our new line of Online Programs to help you Retain your Hard Earned PMP® Credential in the most convenient and cost effective way. 1. Full payment of the Program Charges is made via Online Transfer/Credit Card/PayPal within Two (2) Days of the Registration and in any case before the program start date. 2. Has been explicitly acknowledged by KnowledgeWoods Consulting Pvt. Ltd. employee over Email. Kindly note, we do not have any association/partner companies outside India and any financial transaction or otherwise has to be done with our KnowledgeWoods Consulting Pvt. Ltd. employee only. The Program Charges cover the cost for the registration, access, and all the Program Deliverables provided for the Online Program. Any such reproduction, storage or transmittal of copyrighted material constitutes a violation of the code of ethics. KNOWLEDGEWOODS CONSULTING PVT. LTD. LIABILITY IS RESTRICTED TO THE AMOUNT YOU HAVE PAID FOR THE TRAINING ONLY NOT EXCEEDING THE TRAINING FEES PAID IN ANY/ALL CASES. When you register online/by phone/by email for KnowledgeWoods Retain PMP® Certification Programs, you are agreeing to abide by the above mentioned terms and conditions.